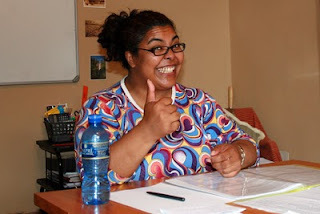 Andrea did The Knowledge Workshop TEFL course at the end of 2008. She is now in her second year of teaching in South Korea and still enjoying it. Take a look at her blog for interesting anecdotes and information on adapting to life in South Korea. Thanks for the insight Andrea!